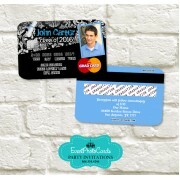 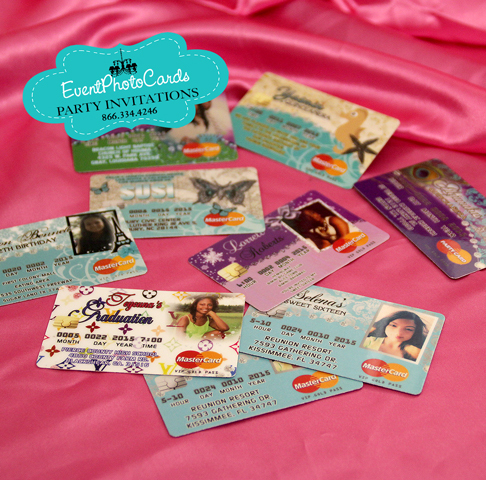 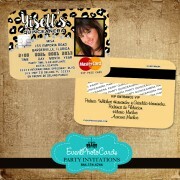 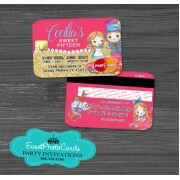 Our credit card invitations are unique and most people keep the invite as a memory. 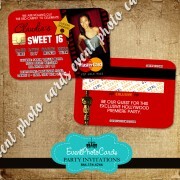 Laminated with the thickest plastic and gloss finish We will assign a designer who will put together the invitation for you. 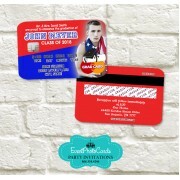 A proof will be emailed and once approved it will be printed and shipped. 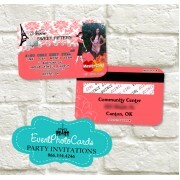 We can change theme as needed. 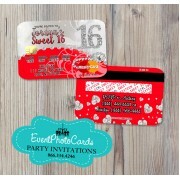 Envelopes are not included but can be added Send us your wording, and we will send you a proof,..
Red Roses Pastel Blue Sweet 16 parties or Birthday Party theme will be a hit for 2018 with .. 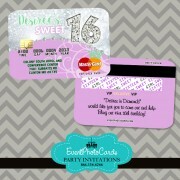 Yes we can change 15 to any number!! 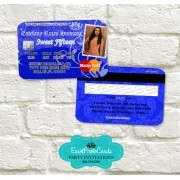 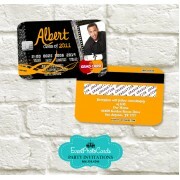 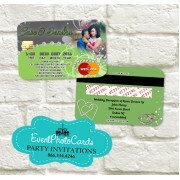 Envelopes are not included but can be added Send us you.. 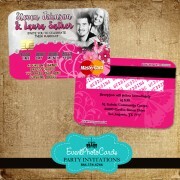 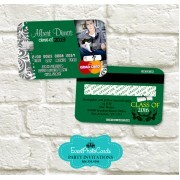 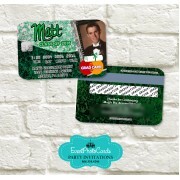 This addition will make the credit card invitation look like a real credit offer. 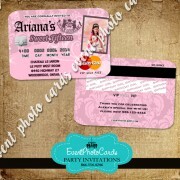 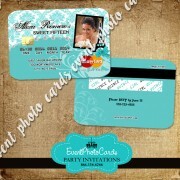 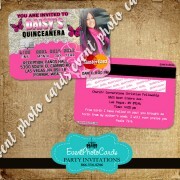 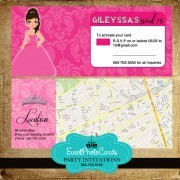 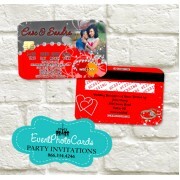 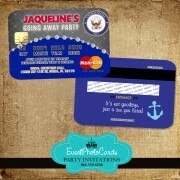 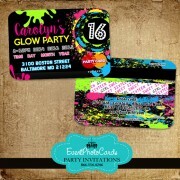 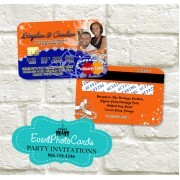 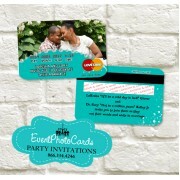 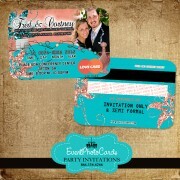 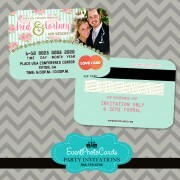 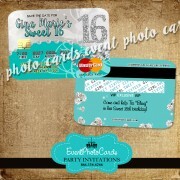 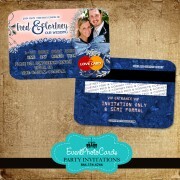 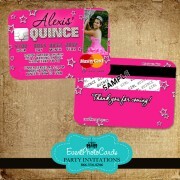 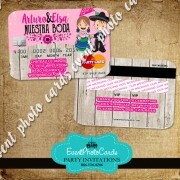 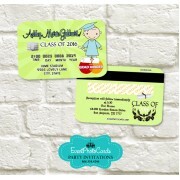 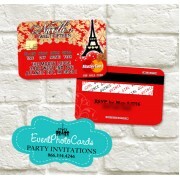 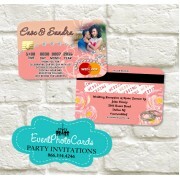 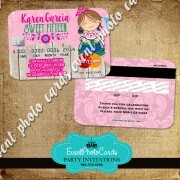 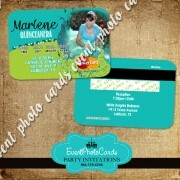 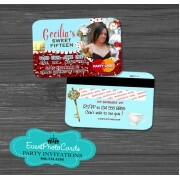 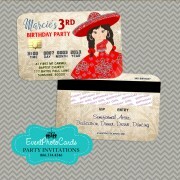 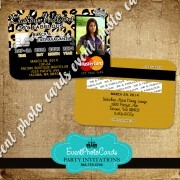 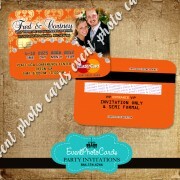 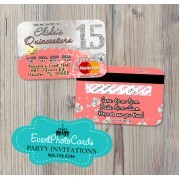 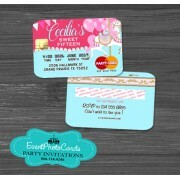 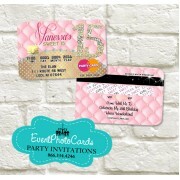 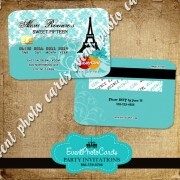 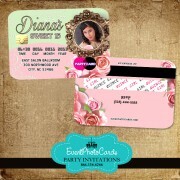 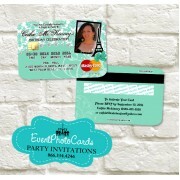 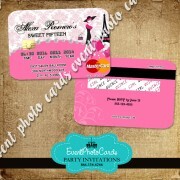 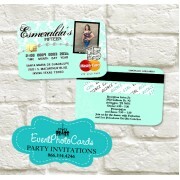 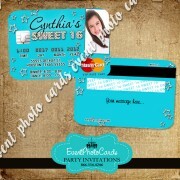 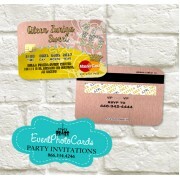 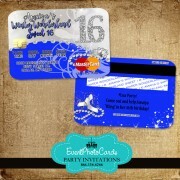 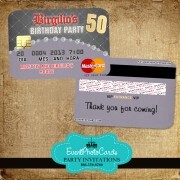 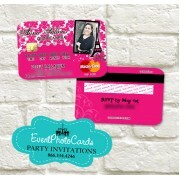 It will include an..
All invitations come with white envelopes Send us your wording, and we will send you a proof, w..